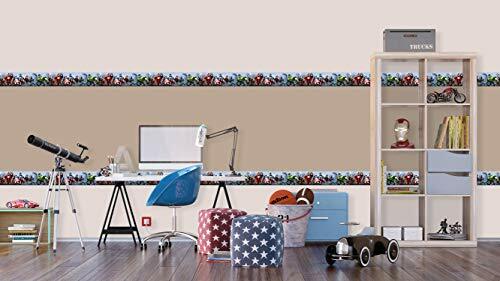 Self-adhesive base, modern size, length 5 m, width 14 cm, 1 part, Will hide clear color border in case of painting walls into several colors. 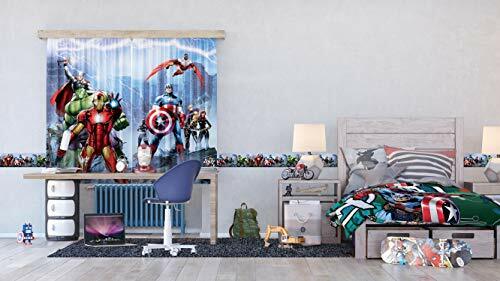 Captain America, Iron Man and their comrades, instantly and modernly transform the interior of the room for a boy, relieve from monotony. Make your sons, brothers, nephews, children of relatives or friends happy, make a great gift! 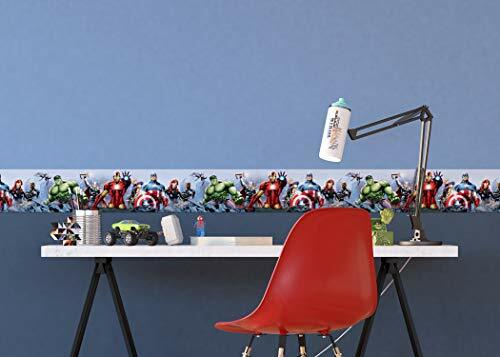 Enjoy life with the heroes of Marvel!